Is the Corvette Z06 the Bang for Your Buck, Supercar Nut Cruncher? 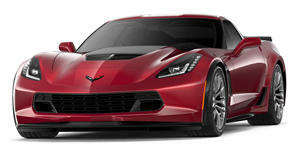 For the record, the 2015 Chevrolet Corvette Z06 is the most powerful production car GM has ever produced. Yes, it’s more powerful than the previous generation C6 Corvette ZR1. You can thank its 6.2-liter supercharged LT4 V8 for that. It produces an insane 650 horsepower and 650 lb-ft of torque. In case you haven’t realized, those are Ferrari and Lamborghini outputs – and the Z06 coupe carries a base price of $78,995. Think about it: that amount of power, performance and track capabilities for less than six figures. OK, yes, there’s the Dodge Challenger SRT Hellcat and its blown V8 with 707 hp, but that’s not a track car. 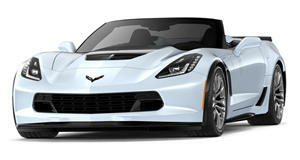 So considering the new Z06’s price and newfound refinement and build quality, is it a true supercar killer? Check out Motor Trend’s test drive review to find out.